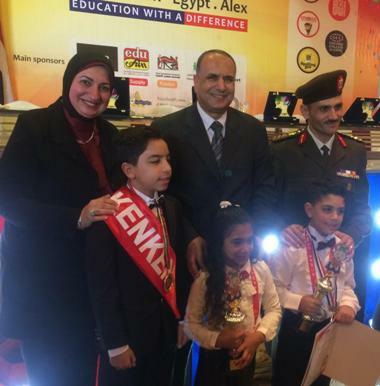 alex in 7 Feb 2019 Dr Abd El-Aziz Qonsowa, governor of Alexandria, delegated Major General Hamdy Al-Hashash, Assistant Secretary-General of Alexandria Governorate to honour the Egyptian students winners in UCMAS World Competition held in Malaysia in December 2018.He congratulated the winners, who won first place in this international competition and their parents and the teachers who supervised their training. He thanking them for their appearance in this honorable way, which raised the name of Egypt high. It is worth mentioning that 140 Egyptian students from UCMAS Egypt participated in the international competition held in Malaysia , which was attended by more than 75 countries around the world, including 80 children from Alexandria won in the first places.